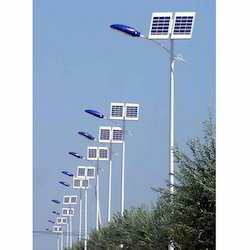 Manufacturer of a wide range of products which include street light pole and solar street light pole. We have established ourselves as a leading name of superior quality Street Light Pole. These make use of lights that turn on and turn off automatically by sensing outdoor light using a light source. These products from our side have been designed to work throughout the night. These are raised light sources which are powered by photovoltaic panels. 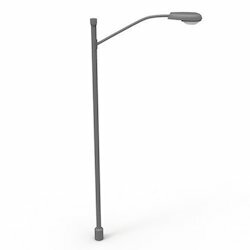 Our company has established itself as a leading name of superior quality Solar Street Light Pole in the market at present. These are made available to our customers as per the set industry standards and at extremely affordable rates as well. These have die-cast aluminum fixing back plates and silicon gasket, turned aluminum structure and heat sink coated in single or double color with polyester powders. Magnetic finish frame to hide the fixing screws.